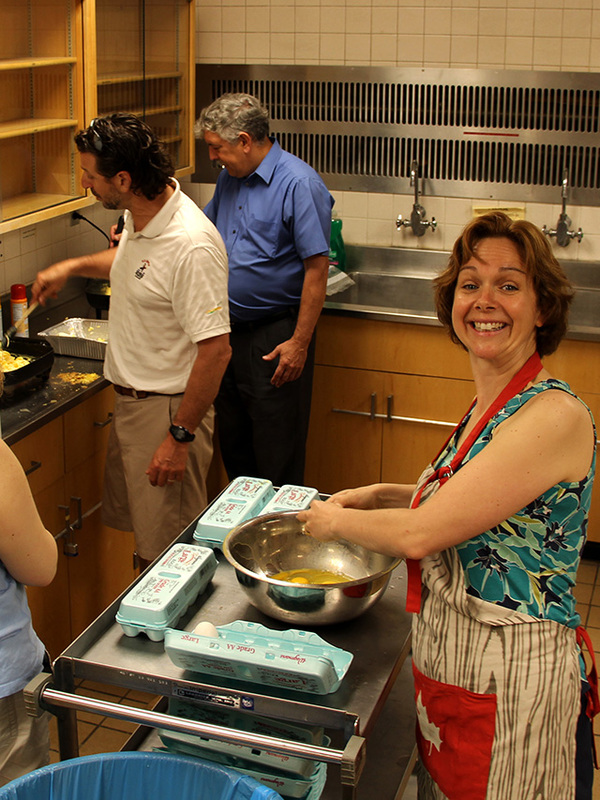 Frank Rossi, Marvin Pritts and Justine Vanden Heuvel cook up Commencement breakfast for Plant Science graduates and their families. 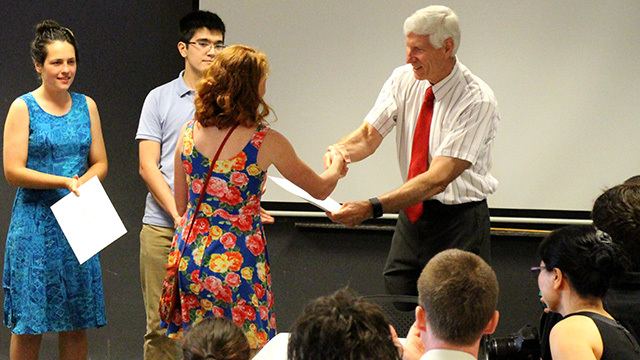 Don Viands recognizes the top three Plant Sciences seniors with the Ring Memorial Award. Breanna Wong (second from left) poses with friends before procession. 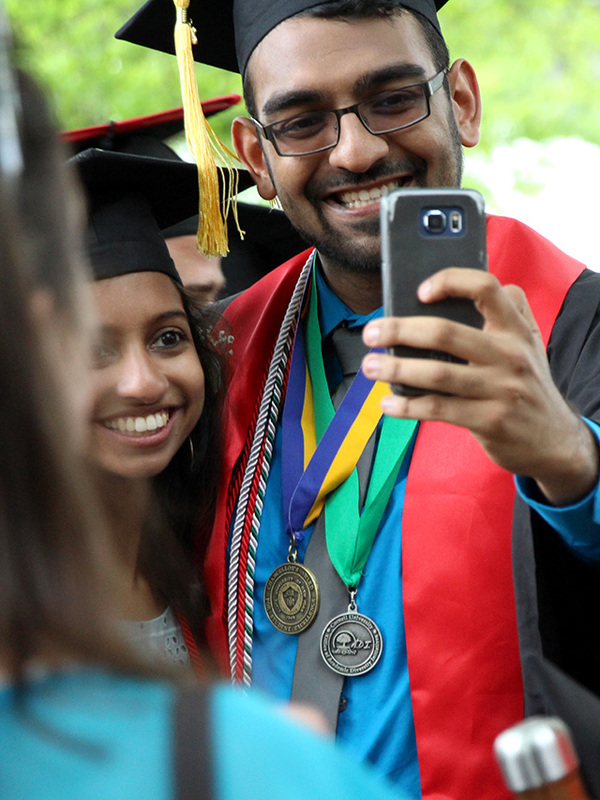 Dhruv Patel shoots a selfie. 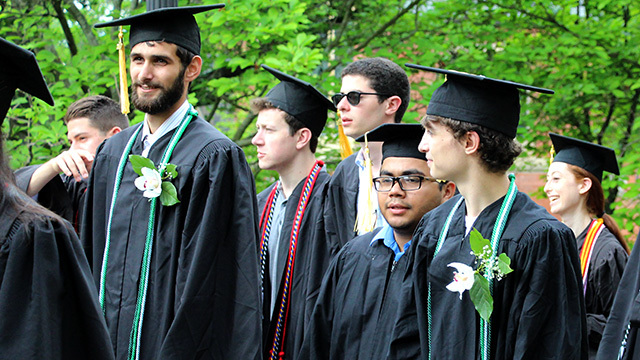 Christian Lesage and Patrick McLoughlin during Commencement procession. 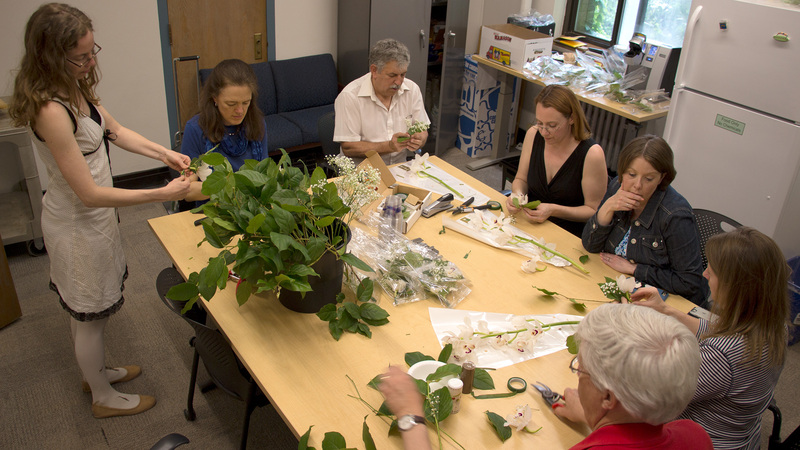 Volunteers fashion commencement boutonnières from orchids for graduating Plant Science Majors and graduate students from the five Graduate Fields associated with the School of Integrative Plant Science. Clockwise from upper left: Violet Stone, Magdalen Lindeberg, Marvin Pritts, Leah Cook, Bridget Cristelli, Karin Jantz and Steve Reiners. Some of the soon-to-be-graduating Plant Science Majors gathered Wednesday for the annual ‘exit luncheon’ – an informal chance for them to share feedback about the program and make suggestions on how to improve the experience for future Majors. 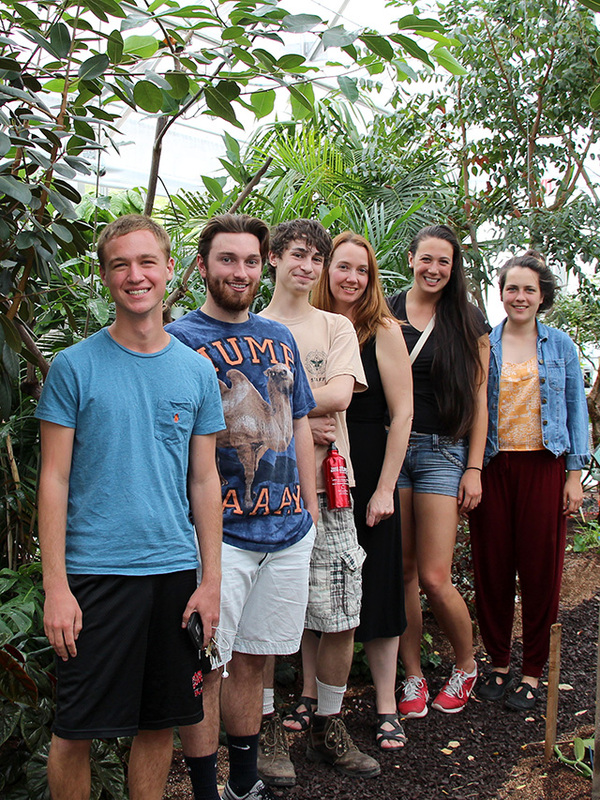 They took time out for a group shot in the Palm Room of the Liberty Hyde Bailey Conservatory. 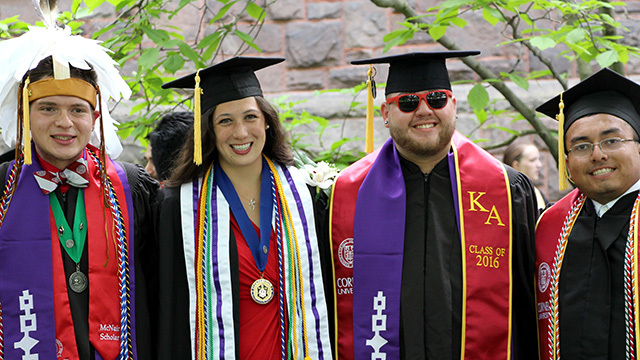 Left to right: Jason Gregory, Ryan Walker, Patrick McLoughlin, Plant Sciences Undergraduate Program Coordinator Leah Cook, Breanna Wong and Katharine Constas. Other Class of ’16 Plant Science Majors not pictured: Julian DeLellis-Mitch, Josh Kaste, Christian Lesage, Zach Lingskoog, Justin Lombardoni, Catherine Migneco, Sarah Odell, Dhruv Patel, Yuanhan Wu, Qiuchen Yang. New York agriculture faces a looming employment crisis, but not the kind that normally leaves job seekers skittish. A rise in job capacity in the agriculture industry is not being met with enough skilled people ready to fill the expected surge in high-paying, productive careers. 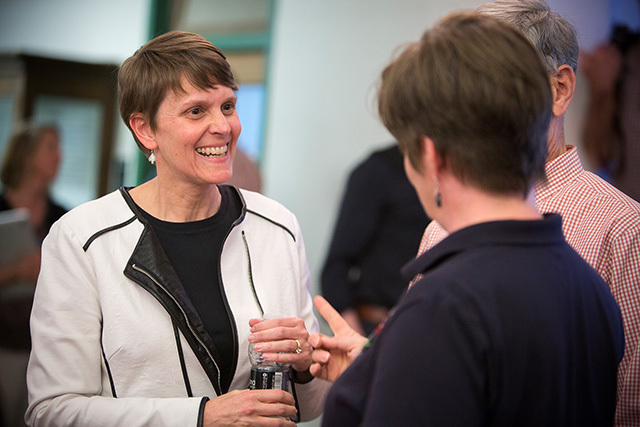 An innovative Cornell project is betting that military veterans are the answer. Farm Ops, an initiative from the Cornell Small Farm Program, is the first of its kind in the country to give returning veterans the opportunity to learn agriculture via their G.I. Bill benefits. The program allows earned military benefits to be deployed in agriculture training, opening the way for young, hardworking men and women with the skills to be successful in a technologically advanced field to become the farmers of tomorrow. 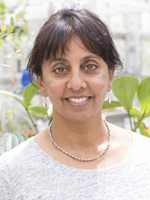 “After leaving the military, our veterans enter the workforce with the dedication, grit and work ethic to succeed in whatever they wish to do,” said Anu Rangarajan, director of the Cornell Small Farm Program and senior extension associate in the Horticulture Section of the School of Integrative Plant Science. “Until now, the job-training benefits they earned have not been applied to agriculture. 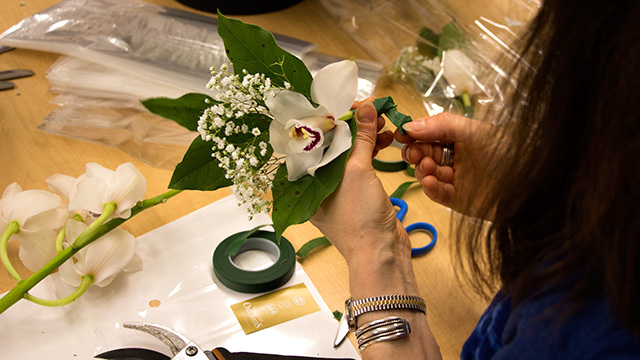 Our program offers pathways, information and support to enter the agricultural workforce. “It’s a win for our veterans and a win for the New York agricultural industry that desperately needs these talented people,” she said. If you missed last month’s Mann Library ‘Chats in the Stacks’ panel discussion on Liberty Hyde Bailey’s book, The Holy Earth, it’s available online. The panel features Scott Peters (Department of Development Sociology), Jim Tantillo (Department of Natural Resources), and John Linstrom (Department of Engish, New York University and the former curator and director of the Liberty Hyde Bailey Museum in South Haven, Michigan). For more audio and video of book talks and special lectures visit the Mann Library event podcast page. 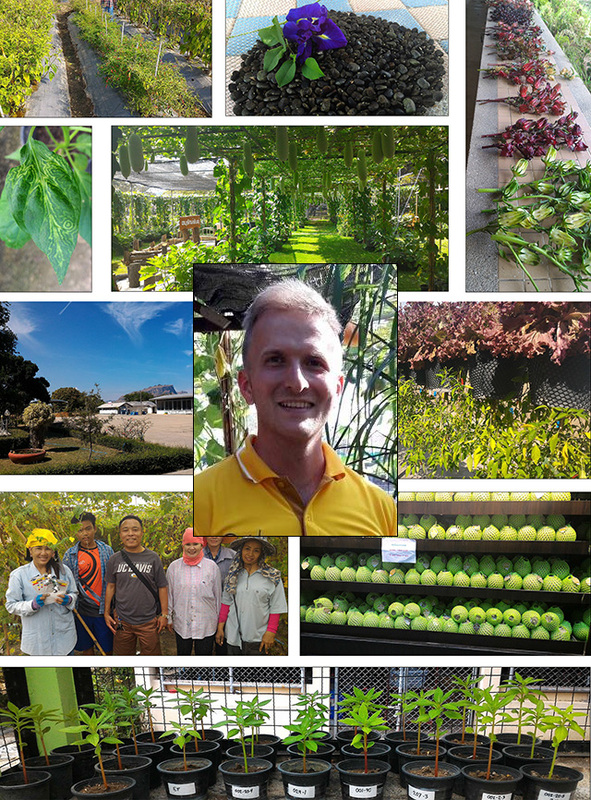 If you missed Friday’s Dreer Award Seminar video Impatiens and Vegetables in Thailand featuring James Keach, Ph.D. ’16 (Plant Breeding), it’s available online. 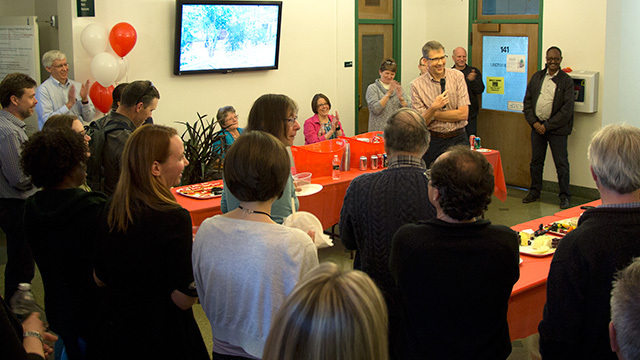 Visit Keach’s Dreer Award blog PhytoRealism detailing his travels. 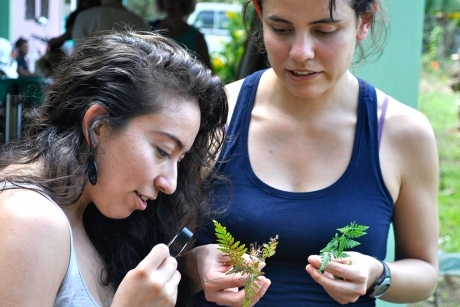 Administered by the Horticulture Section of the School of Integrative Plant Science, the Frederick Dreer Award provides a wonderful opportunity each year for one or more students to spend 4 months to up to a year abroad to pursue interests related to horticulture. Read more about the Dreer Award. 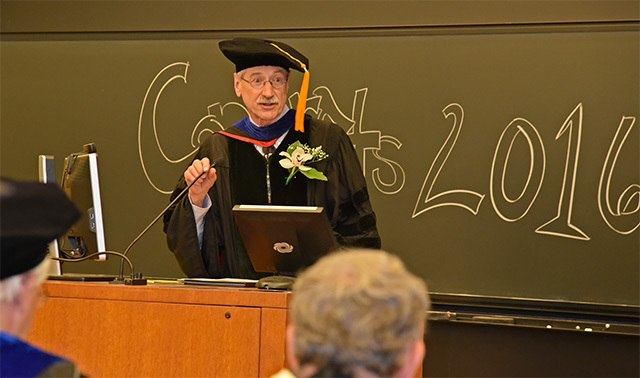 Cornell’s annual Service Recognition Dinner, honoring the dedicated work of Cornell staff who are celebrating 25, 30, 35, 40 or more years of service, was held May 17 in the Ramin Room of Bartels Hall. 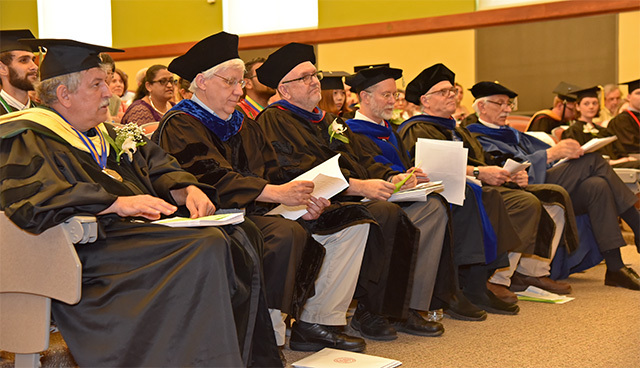 This year, the event honored 346 staff members with 25 or more years of service (representing a cumulative total of more than 10,000 years of work for Cornell); 213 of those awardees attended the event and dinner, in addition to their guests, deans, supervisors and others. 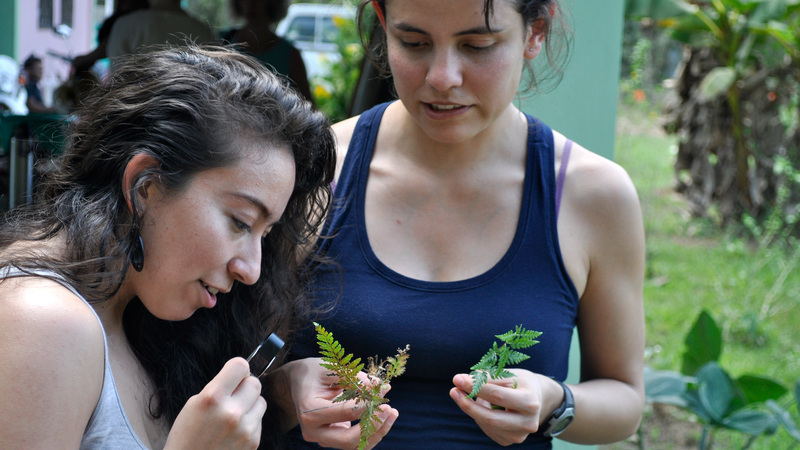 Stretching beyond the “apple a day” adage, Cornell students explored a natural area in Ithaca and villages in Belize to learn how common plant life helps alleviate ailments. “In Belize, use of healing plants is a centuries-old tradition that’s being lost because fewer young people are pursuing plant medicine,” said senior lecturer Marcia Eames-Sheavly, who teaches Healing Plants and the People Who Use Them. 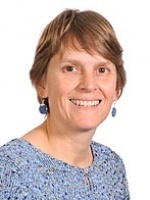 CUAES Director and CALS Associate Dean Jan Nyrop announces Smart’s appointment at SIPS open house. Keach will share his experiences abroad including stints at the Tropical Vegetable Research Center (a national vegetable germplasm preservation organization), Chia Tai Co. (a Thai-founded vegetable seed company) and in the Department of Pharmacognosy at Prince of Songkla University. In Healing Plants and the People Who Use Them, I ceased to be a walking résumé. Students in PLHRT 4940, Healing Plants and the People Who Use Them, spent spring break working with and learning from Mayan healers in Belize and herbalists in the Ithaca area. They will provide an overview of their experiences and present their final projects on May 16 from 12:45 p.m. to 1:45 p.m. in 102 Mann Library. What are the various roles of plants in our lives? What is a community, and in that community, what are people’s ways of understanding and knowing? Whatever your answer to these questions, and whatever it includes at this juncture of your life, our hope is that if you intentionally engage in PLHRT 4940, by semester’s end, your ideas of the value of plants…of community…and of self, are going to be changed. During the first half of the semester, the students participated in diverse classroom activities to prepare them to make the most of their experience. That meant more than just learning how to identify plants. As a team, we engaged students in topics ranging from ethics and cultural sensitivity to appropriate use of technology and how to ask good questions. And teamwork was key. As the students worked and planned together, they learned each other’s strengths and weaknesses. They learned that they didn’t need to know it all if they could work together. During the 2016 spring break, we divided into two groups. One group traveled to the Toledo District of Belize to work with Mayan healers. The other stayed in Ithaca to work with Tammi Sweet, co-founder of the Heartstone Herbal School. 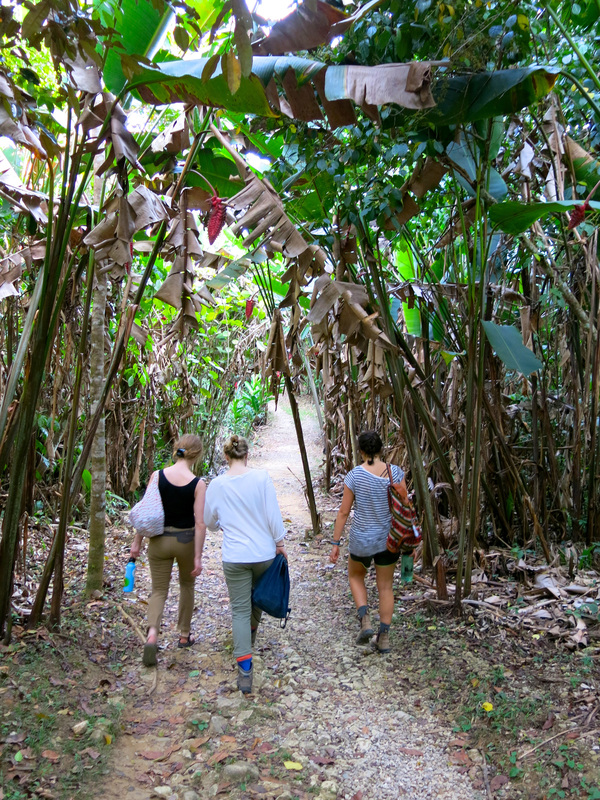 Depending on the location, the students focused on learning traditional plant medicine and the spiritual ecology undergirding it; preserving the wisdom of indigenous healers and their knowledge of medicinal plants; making preparations ranging from salves to soaps; and preparing a new medicinal plants nature trail. Both groups steeped in reflection about healing plants, the people who use them, and their own journey at these intersections. In Belize, use of healing plants is a centuries-old tradition that’s being lost because fewer young people are pursuing plant medicine. It’s fascinating that here in the U.S., the interest seems to be exploding. 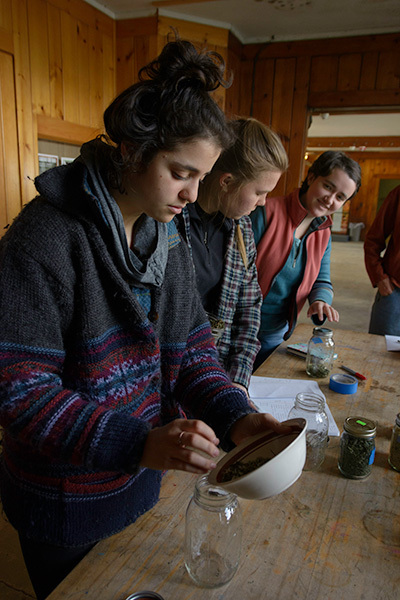 Learning about plant medicine and the people engaged in it has benefits for people around the world, and for the health of our students here at Cornell, too. Before the course, I had a few friends who studied plants—individuals I met through my cooperative—and had only a vague interest in plants, myself. Now, I have built off that vague interest, learning how everyday plants we walk by on our way to class could actually be useful in our lives. …I have gained friends and developed bonds with individuals who allow me to cultivate this interest further. After break, students from both groups tackled practical projects primarily aimed at integrating their new-found interests with specific lay audiences. These took forms ranging from narratives based on interviews with healers to lesson plans, a grant proposal rationale, cookbook recipes, how-to flyers on growing medicinal plants, personal essays, maps, and blending teas to help fellow students cope with stress. I have experienced such a holistic form of learning that the class will continue to follow me and my life path—perhaps even guiding my life’s path into the future.